Inspired by his father, Bobby McFerrin is releasing a collection of devotional tunes, an idea that first captured his imagination 20 years ago. 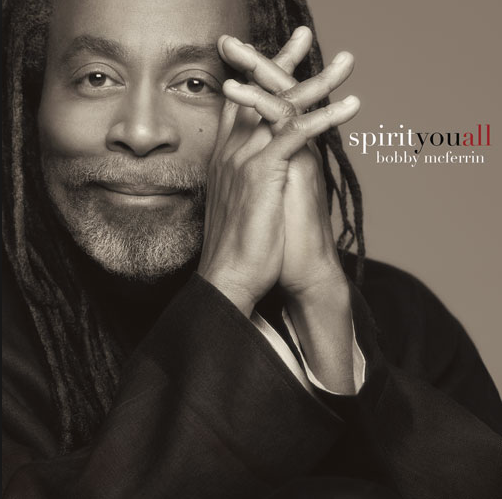 The album, spirityouall (a twist on "spiritual"), arrives May 14 on Sony Masterworks with seven classic spirituals, five originals and a cover of Bob Dylan's I Shall Be Released. McFerrin, 63, is joined by Esperanza Spalding (who sings on three tracks), bassist Larry Grenadier, multi-instrumentalist Larry Campbell, and drummers Ali Jackson and Charley Drayton. Arranger and musical director Gil Goldstein played accordion and keyboards. Learn more here.